Lake front lot on Norris Lake includes a covered dock with power...just needs your boat. Main channel year round water. Lift installed and 24' boat capable and 4500 pounds. Lot is cleared and ready to build..soil map available. Natural gas and high speed fiber at the road. 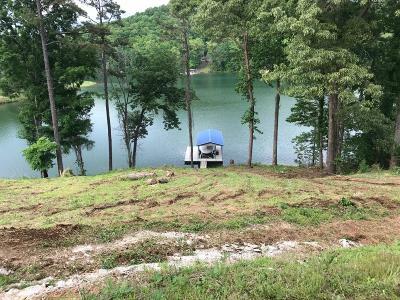 Many other waterfront lots on Norris at this price, but not with a maintenance free dock and lift!